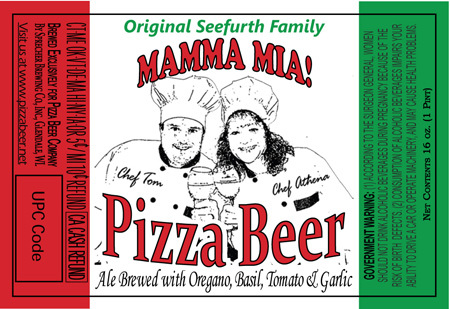 With oregano, basil, tomato and garlic added to this beer, it must might be good. In fact, the label proclaims it to be so good “It Deserves…A Wine Glass”. Sadly, there is no word yet about whether this wine — “Wine That Loves Pizza” — is good enough to deserve a wine glass. I like pizza and I like beer, but I prefer that the ale mix with the “oregano, basil, tomato & garlic” in my stomach, not in the brewing vat. Cut Your COLA Wait From 53 to 2 Days. No Strings Attached. 22 Days and Counting. The 2019 TTB Shutdown. Submit your e-mail address to receive new blog posts (Bevlog Beverage Law Blog) and occasional news items – with no spam. Have a question or need more information? Feel free to contact us using one of the links below.